Design motto: I like to find out who my clients really are and what makes them excited. Anyone can shop online these days, but there is an art to selecting the right mix of pieces that speaks to each owner and makes a space work. Favorite materials or textures: Right now—antique mirror, brass and distressed leather. Favorite designers/architects: Le Corbusier and Mies van der Rohe—they were not only great architects but influential furniture designers; also, Kelly Wearstler, because she’s not afraid to play with scale and pattern and luxurious materials. Advice for aspiring interior designers: Surround yourself with talented, hardworking people who you can learn from. Design project that has the most impact in a home: Kitchen—it’s where everyone ends up hanging out and can add great value to your home. Tool you can’t live without: My iPhone. Favorite color: Black. I know it’s a bit cliché, but black will accentuate any color! Favorite ice cream flavor: Coconut. I remember my first homemade coconut paleta on the beach in Puerto Vallarta when I was young—it brings back great memories. Coffee or tea: I’m a big fan of both depending on the day—a delicious latte or a London fog. Favorite kitchen gadget: My soda stream. I’m a huge fan of sparkling water. Favorite local restaurant: The Independent in Placerville. I see a lot of trends in color inspired by the fashion industry. Designing a space is just like styling a look! Gold and brass are back and are great finishes to accessorize a room. I have a love for grey tones in paint. Vintage pieces mixed with a few new modern lines. Design motto: When you’re passionate about what you do, it will be evident with fantastic results for your clients. Favorite materials or textures: I enjoy bringing in several layers that will be based on the overall design. My favorite material is Mohair and leathers. If a client’s design calls for it, I will add a touch of cowhide. Favorite designers/architects: Frank Lloyd Wright was a brilliant architect and designer that I have used as my inspiration for incorporating the outdoors into the home or commercial spaces. A current designer that I share a similar design style with is Candice Olson—she maximizes space and offers comfortable modern spaces. Advice for aspiring interior designers: Understand that design is 30 percent design and 70 percent business. It’s not just fun and games—you must be wise with your time to allow for paperwork, follow up, accounting, etc. Design project that has the most impact in a home: The family room is where most of the members come together, so you need to maximize comfort and personal style. Next would be the kitchen (to help with ease of prep and enjoyment of the space). The powder room is where you can be daring. It’s the only space your guests will have on their own to judge your style. Be bold. Tool you can’t live without: My iPhone—it has allowed me to copy and paste a design piece last minute and keeps the communication instant. I’m amazed how much I utilize the Internet for my resources and manufacturers I offer. Favorite color: Smoke blue makes me feel warm and reminds me of the sky. Favorite ice cream flavor: Starbucks Java Chip—creamy, rich and decadent with espresso chocolate…yummy! Coffee or tea: I need both. My morning starts with a hot cup of coffee with hazelnut creamer, and I enjoy iced tea with lunch. My ultimate choice is water…so refreshing! Favorite kitchen gadget: I use my coffeemaker the most, with my blender for smoothies a close second. Favorite local restaurant: I go to Paul Martin’s American Grill and Skipolini’s Pizza most often. Using texture on walls in lieu of accent paint. There are many options: tile, rock and wall coverings. Hanging multiple light pendants to create a bouncing effect of lighting and glass in the room. I love all of the Edison bulbs for added character. Porcelain wood tile creates the same look as wood floors but allows for children on roller skates and a dog rushing to the door with its sharp nails. It prevents scratching and requires no maintenance. An award-winning interior designer, author and multi-media consultant, Kerrie Kelly founded Kerrie Kelly Design Lab in 1995. A certified interior designer, she graduated from Cal Poly, San Luis Obispo and earned a master’s degree in business from the University of Phoenix. Kelly is also a Certified Aging in Place Specialist (CAPS) and a member of ASID (American Society of Interior Designers), as well as IIDA (International Interior Design Association). She has received several awards, including: California Paints Exterior Palette Challenge, Jason Wu for Brizo Blogger-19 Challenge, Houzz’s Best of Remodeling Award for 2012, and Best of Design and Customer Satisfaction Award for 2013. 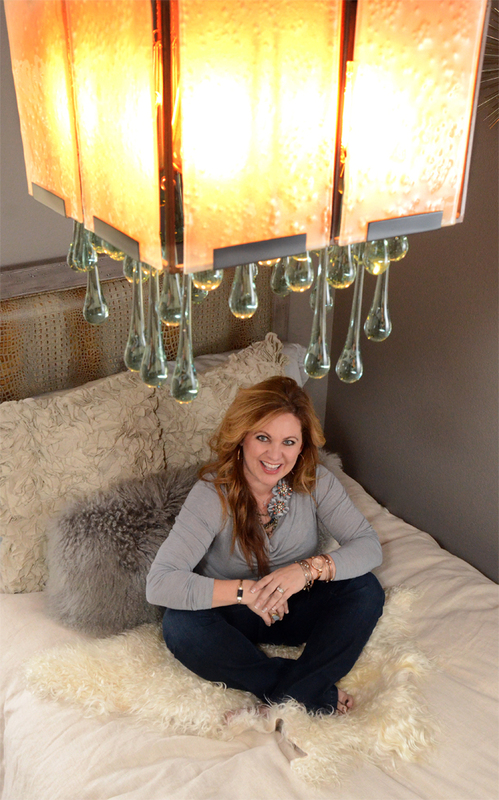 Kelly was named the 2012 recipient of ASID’s Nancy Vincent McClelland Award for Interior Design Education. 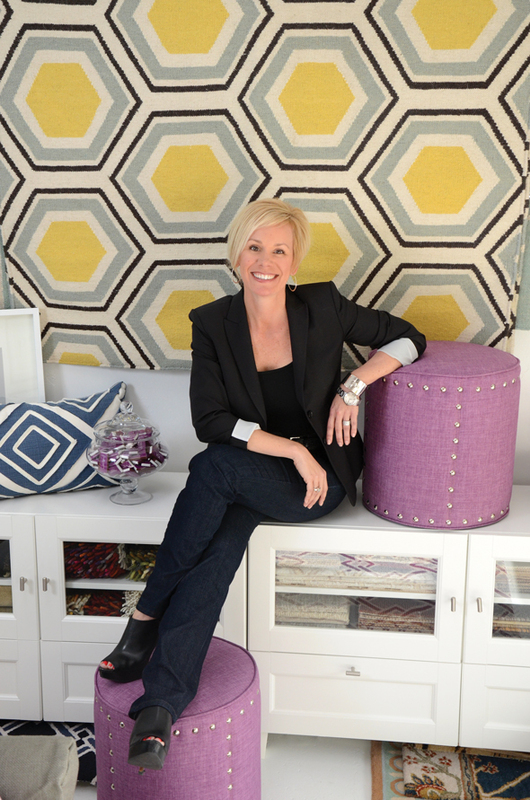 The author of two books, Home Décor: A Sunset Design Guide, published by Oxmoor House and My Interior Design Kit, with Pearson Professional and Career Education, Kelly opened the newly expanded Kerrie Kelly Design Lab location in East Sacramento in January 2014. Design motto: Everyone deserves great design™. Favorite materials or textures: Chrome, seagrass and washed linen. Favorite designers/architects: Hands down, Mr. Ralph Lauren. Advice for aspiring interior designers: Be flexible. Design project that has the most impact in a home: A fresh coat of paint is affordable and can change the whole look and feel of a space quickly. Tool you can’t live without: Needle nose pliers and my DeWalt drill—my parents gave them to me when I started in visual merchandising for Nordstrom and they are still with me today! Favorite color: Purple, as it relates to our brand, and black for wardrobe. Favorite ice cream flavor: Baskin-Robbins’ Peanut Butter and Chocolate. Coffee or tea: Illy’s Medium Roast is in our espresso machine, but I always love Chocolate Fish’s flat white, too! Favorite kitchen gadget: My tomato-cutting knife from my sister. Favorite local restaurant: Tres Hermanas for quick and easy; Ella for lunch and celebration. A menswear look is making a comeback via pinstripe fabrics, herringbone accents and detailed upholstery stitching. Organic glamour is also hitting a strong stride via natural fiber rugs and wall coverings paired with the shine of Lucite and mixed metals. Colorful, luxurious brights through upholstery fabric, and drapery contrasted with crisp white are also a front leader when creating room scenes. 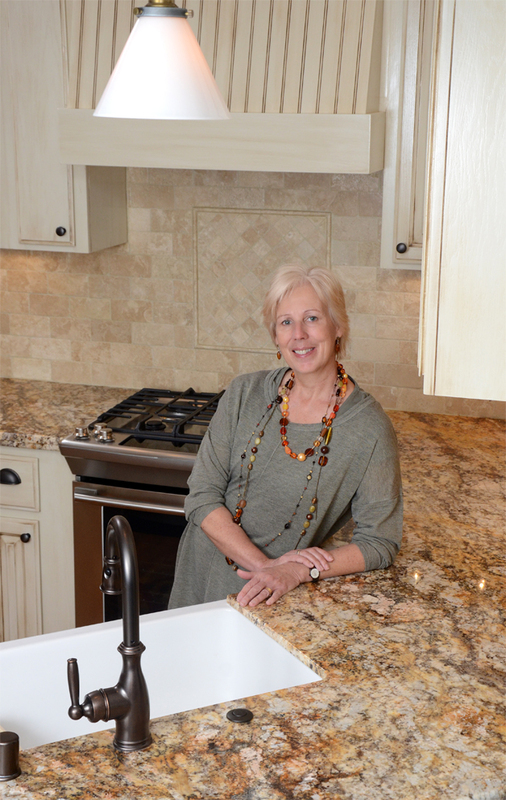 Jane Reed grew up in the homebuilding and design world as her grandfather and father were respected builders of custom homes and her mother worked in the fashion industry. She developed great interest in architecture and history and learned a lot from touring stately homes and buildings throughout Europe and in Britain, where she was born. Reed formally trained at Chichester College in West Sussex, England, where she gained a flair for both contemporary and traditional European styles. She married Mike, a contractor who learned his trade working alongside his grandfather on the very homes that Reed so admired. The couple formed their successful remodeling and design business in England more than 20 years ago before selling and moving to Folsom in 2000. They formed Brush Strokes Inc. that same year. In 2006, they opened Decorating Den Interiors. Their work has been published in several magazines and they’ve won many awards for their remodeling and interior design projects. Favorite materials or textures: Anything organic and natural. Advice for aspiring interior designers: Learn all the rules but follow your instincts. Design project that has the most impact in a home: Kitchens are the heart and soul of the home and nothing makes a bigger statement about a household. A well thought-out and designed kitchen can sell a home. Tool you can’t live without: My tablet computer. Favorite color: It depends on the project I’m currently working on. I get so immersed in a project that I gain a real affection of all of its elements, including color. Favorite ice cream flavor: My husband’s homemade lemon ice cream. Coffee or tea: I may be British but I drink coffee. Favorite kitchen gadget: A Kitchen Aid mixer that I use to make all of our bread. Favorite local restaurant: Too many good ones—anything that is not a large chain. The Pantone color of the year is radiant orchid, a very pinky-purple, but I am seeing a lot of blue (cobalt and French blue). Standalone baths in the master bathroom, or removing the bath altogether. Mixed height counters and floating shelves in the kitchen. 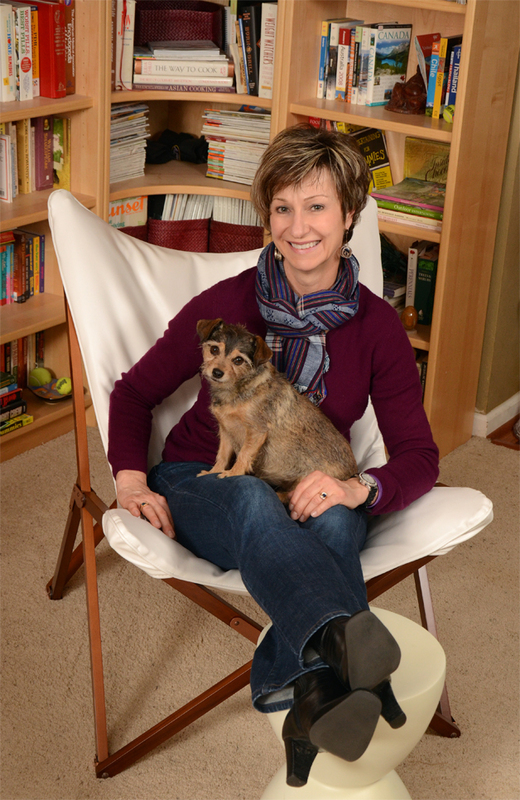 Alice Welborn has an extensive background in sales, managerial jobs, budgeting, and now, a passion and delight for mid-century and modern furniture. “I have a very good ‘eye’ for color and style but a ‘true, pro’ interior designer has great training,” she says. “I sell ‘modern design for all’ in the form of furniture, mirrors and lighting.” Welborn started her own company so she can “offer high-quality reproductions of some of the best thought-out, longest-lasting, smartly designed and executed furniture ever made.” Welborn and her former business partner loved a particular furniture line and decided to “focus on this contemporary and mid-century modern line.” That partnership ended but she says with “incredible support from many other women in the building,” the company is still “very much ‘2 Women.’” Her focus? “I like to think that I am making ‘WOW’ affordable,” says Welborn, who is a board member with Stanford Settlement Neighborhood Center. She’s also involved in the American Association of University Women and the local Natomas Business Chamber. Design motto: Keep an open mind. Favorite designers/architects: Ray Eames—smart, timeless design and part of a team, but a woman who made her endless creativity known worldwide. Advice for aspiring interior designers: Be a good apprentice: watch, do, learn! Design project that has the most impact in a home: Personally, paint is my friend, as are pillows, area rugs and moving “stuff” around. Tool you can’t live without: My smartphone—yes, I have become one of “those.” Second is my trusty tape measure. Favorite color: That’s akin to choosing a favorite child or, worse, grandchild. There is something to love in every single color. Favorite ice cream flavor: Vanilla—it goes with everything and you can choose any topping! Coffee or tea: Strong coffee. Favorite kitchen gadget: Sharp knife and silicone mitts. Favorite local restaurant: Brewpubs and The Waterboy. 1. The Pantone color of the year is radiant orchid, a very pinky-purple, but I am seeing a lot of blue (cobalt and French blue). 2. Standalone baths in the master bathroom, or removing the bath altogether. 3. Mixed height counters and floating shelves in the kitchen.